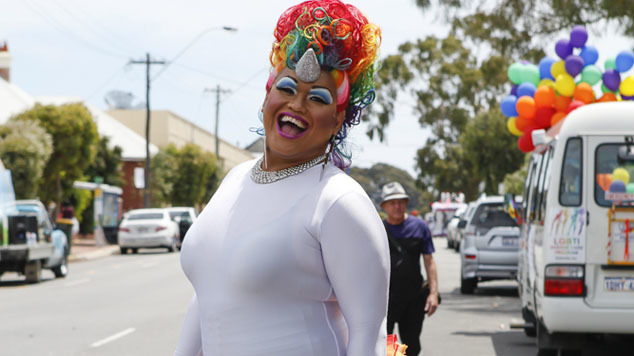 This year will be the biggest Pride Parade ever, with a record 84 floats joining the march through the streets of Northbridge. At Wednesday’s Parade participant meeting, Pride WA announced that the parade had never had over 70 floats before this year. The 2017 parade will take the celebrations along a new route, starting outside the Court Hotel, moving down Beaufort, Francis, Lake, James & William Streets – wrapping up with the traditional drum-off on the Horseshoe Bridge. Local LGBTI organisations will be joined by supporters such as QANTAS, PwC, WA Police and many more as Northbridge transforms into a sea of rainbows celebrating this year’s theme of FREEDOM – led as always by the beloved Dykes on Bikes. After the parade, even more festivities will begin in Yagan Square’s Lot 10 – with the official PrideWA after party. Connections Nightclub will also have limited door tickets to their sold out party. The Pride Parade starts at 8pm on Saturday November 25th in Northbridge.